Join us for the Kentucky Oaks on Friday, May 4, 2018, and cash in on our Money-Back Guarantee promotion. Bet your pick in the ‘Oaks and if she finishes 2nd or 3rd, you’ll get your money back! You must register to participate. Registration opens Wednesday, May 2. Registration is free, but you must be an Xpressbet customer to play. If you don’t have an Xpressbet account, Sign Up and receive a $500, $100 or $20 Bonus. Registered customers must make a Win bet ($10 maximum) on one horse in the Kentucky Oaks. Only your first Win bet on the race is eligible for this promotion. If your filly finishes 2nd or 3rd in the Kentucky Oaks, we will refund the cost of your wager, up to $10. Your refund will be deposited back into your account by 5:00PM ET on Monday, May 7. Offer valid Friday, May 4, 2018. Customers must register for Promotion to be eligible. There is no fee to register. 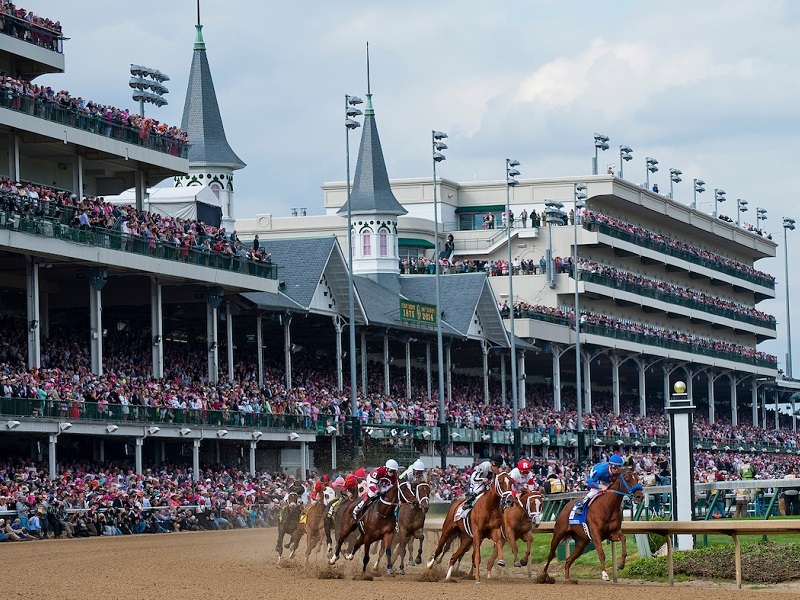 Registered customer must place a ‘live’ Win bet of $10 or less on one horse in the Kentucky Oaks on May 4, 2018 at Churchill Downs. If that horse finishes 2nd or 3rd in the Kentucky Oaks, customer will receive a refund on the Win bet, up to $10. Only a customer’s first Win bet on the Kentucky Oaks is eligible for this promotion. Wager refunds will be deposited in the form of a wagering credit by 5:00PM ET on Monday, May 7. Customer has 30 days to bet wagering credits. Unused wagering credits will be retracted after 30 days. Wagering credits cannot be withdrawn. Individuals may only have one (1) account and may only qualify for the promotion one (1) time. Participants must have an Xpressbet account in good standing to qualify for promotion. Only wagers made through a participant’s Xpressbet account are eligible.